At Impact Steel, we take great pride in fulfilling our customers’ stock requirements. 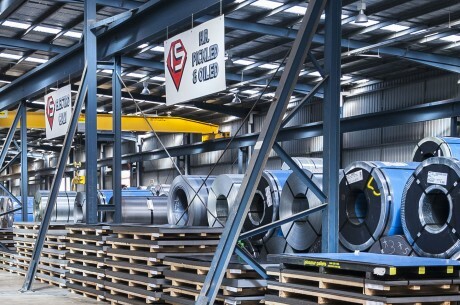 Following an analysis of your assignment, we use our team of industry professionals to assess and recommend the most appropriate steel products for your business. This makes up part of our Steel Efficiency Review ™. We implement this assessment so that we can ensure the products you’re purchasing are appropriately suited to your task/project. We’re able to offer our customers the dynamics of both steel sheet and steel coil. With the growth of Impact Steel, we’re constantly improving on product line expansion. We know that customer needs and desires are frequently changing, and so are industry regulations, so the importance of matching these demands with product availability is ever increasing. We consider this the foundation of our business and can assure our customers that our range of steel products will not disappoint. Below is a brief description of our steel coil and steel sheet products. 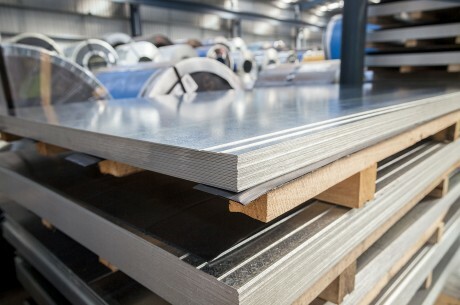 All our hot rolled steel products come as standard commercial grade (HA250). Also, a range of alternate steel grades are available if requested. The coil and sheet widths are 915mm, 1220mm and 1500mm with a thickness of 1.60mm to 6mm. Typical applications are in structural sections, tanks and gas cylinders. Hot Rolled products can be supplied in pickle and oil. Our pickled and oiled steel is treated prior to being hot rolled to remove impurities. It is then rinsed and oiled to reduce the forming of rust. 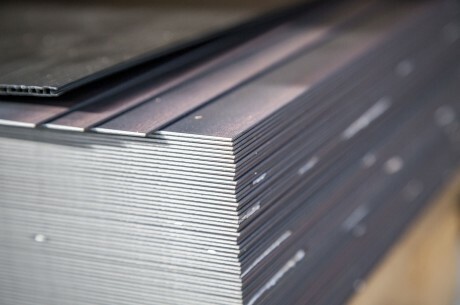 This steel is weldable and is ideally suitable to bending, drawing and pressing. 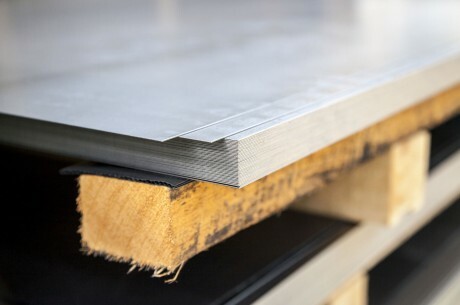 Cold Rolled Steel is ideal for construction and building materials as it is extremely unlikely to crack or split within environments where the steel is exposed to immense pressure. This is because it has one of the highest strength to weight ratios in comparison to other steel types. 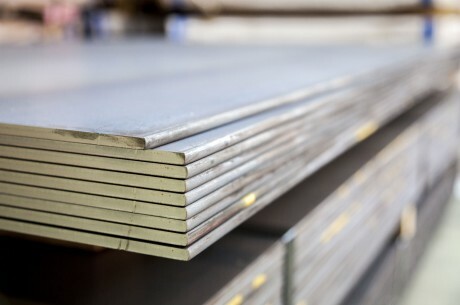 All our Cold Rolled steel products are manufactured to commercial grades – CA2 and CA3. Galvanised steel products pose an abundance of advantages. It lasts the longest and requires the least amount of maintenance over the long term. The life expectancy of galvanised steel is in excess of 25 years depending on the environmental exposure. 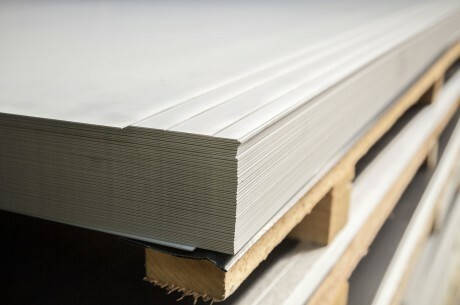 The coating presents a durable structure and is well resistant to corrosion. Our electro-galvanised steel products are manufactured similarly to regular galvanised steel, except with a thinner, electroplated zinc coating. There are two major benefits with using galvannealed steel. Firstly, the spot-weldability is dramatically improved. Secondly, it is easily painted as it has a superior coating adhesion. Our stainless steel products are unbelievably durable and easy to work with. They are also heat and chemical resistant. One of the greatest benefits of stainless steel is that it is perfect for environments with stringent hygiene conditions – meaning it’s easy to clean. 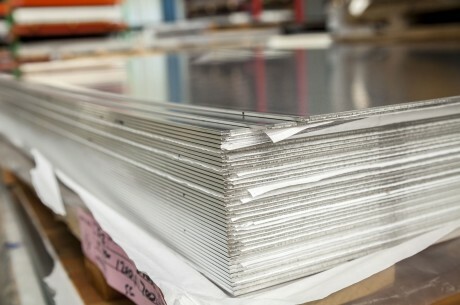 Aluminium is a light-weight metal, simultaneously renowned for its strength and capacity to protect. 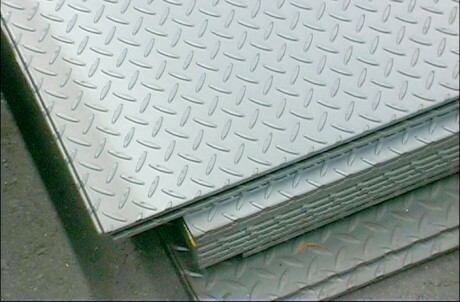 Our steel floor plate products are available in grades HA1, HA250 and HA350. All of our products meet Australian standards, reassuring customers that they are purchasing flooring that meet safety requirements. 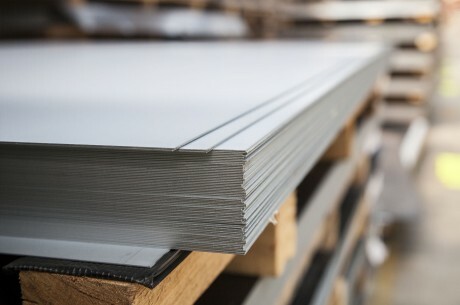 Our aluminised steel sheet products come in four grades – T125, T140Q, DQ and DDQ. This steel type is ideal for resisting high temperatures and perfect for sustaining quality within brighter environments. 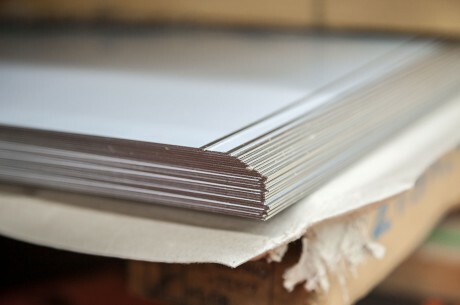 The highest demand for this steel sheet comes from within the Automotive and transport industries. Specially treated with the aluminium coating to improve durability. 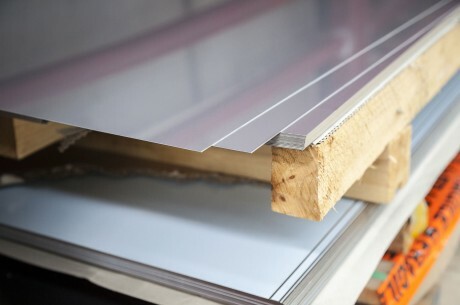 It is most commonly used to build constructions such as corrugated siding, and appliances such as air-conditioning or heater housings.